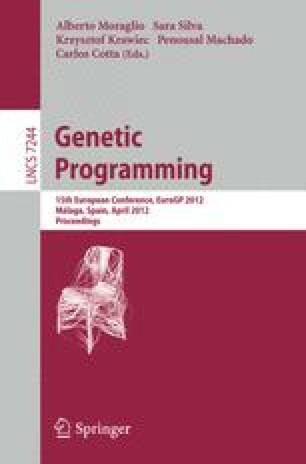 Cartesian genetic programming (CGP) is a branch of genetic programming which has been utilized in various applications. This paper proposes to introduce coevolution to CGP in order to accelerate the task of symbolic regression. In particular, fitness predictors which are small subsets of the training set are coevolved with CGP programs. It is shown using five symbolic regression problems that the (median) execution time can be reduced 2–5 times in comparison with the standard CGP.